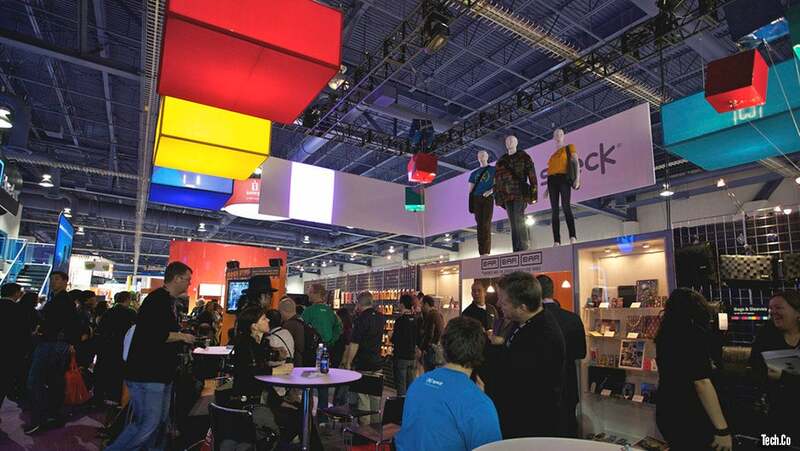 Are you a startup looking to make the most of your CES experience? These gems for how to hack CES may come with challenges this year due to the unprecedented security, but whether it’s to make news, network, or sell, you’ll need a modern-day approach. It is no longer smart to just hand out paper business cards and lease trade show booth space. First, spend the money to attend the paid speaker sessions. Arrive early to get front-row visibility. Get face-time with key influencers, ask questions, Google their background to become familiar with them. Be aggressive – as a native New Yorker, that is extra easy for me. Be the first to jump as the presentations are ending, and have your ice-breaking introduction well scripted. Talk about them first and what they said – then work your pitch into a follow-up. Second, while the highly-paid publicists and marketing executives are trapped on the trade show floor, you have free range to roam. This is the time for your eyes to study everyone’s name badges. See a familiar reporter’s name? Attack. An influencer? Attack. My reporter friends have tricks to counter this however; some use other people’s badges or simply turn theirs backwards, so study their pictures in advance and familiarize yourself with what they look like. Having an entourage of cameras and people by their side is an easy identifier that it is someone important. 1) Offer a ride: Walk to the front of the taxi line at the mega-resorts in Las Vegas. Listen to conversations and spot key influencers. I firmly tell them (don’t ask) that I will pay for their entire group if they are heading to the LVCC, as I waive my Platinum AmEx Card, while covertly pre-qualifying myself. This is always my best investment. You buy 20-30 minutes in traffic, networking. I’m the only guy at CES who welcomes traffic. This is the first year Uber is operational in Las Vegas, so my plan is to have an Uber SUV waiting, walk to the BACK of the line and listen for key influencers to explain that I have an Uber SUV with 5-6 extra free seats right here. 2) Join the media: The CES media center in those conference rooms on the second floor of South Hall usually have an unmanned door wedged open, or due to a departing press person. Get invited, or walk in backwards, with Trump-like confidence. The heightened security might be an insurmountable complication this year. This is where I spend about half of each day. While tech giants are spending millions on mansion-sized booths, I am eating free sandwiches with the international media and bloggers. Before approaching, I study their badge. Do a quick Google search of their most recent story and bam! I am their best friend, boosting their ego, talking about their recent narratives and asking: what’s the coolest new thing they’ve seen, and the worst? Security stories may be good fodder as an icebreaker this year. Then, share your story to an absorbed audience. 3) Roll deep: This tip is pricey, but effective. I am a longtime regular guest at MGM’s Skyloft Suites. During CES they are all-booked years out. Last year, Google had 19 of the lofts. How do I know? With access to the private Skyloft Lounge, I grab the best, comfy chair and listen. Each hotel has lounges like these which can be hacked with a smile, confidence and politeness. Each guest there – other than fellow hackers – is somebody. You are pre-qualified to engage and lead a narrative about CES and always talk about them. You’re there to connect – not pitch yet. Soon afterwards they’ll get my “great meeting you,” a follow-up email; then, the real networking commences. Always ask for their Twitter and/or Instagram handles and send out an instant message to them, something relevant to the conversation and follow-up, over and over. 4) Go to the back of the corners: Many years ago, in the back corners of the CES photo pavilion, was an unassuming 10-foot booth with very unimpressive sizzle. Everyone was passing the guy behind the booth, he drew little attention, other than my falling over with excitable admiration, as I explained his product was 10-times better and the best new thing I’ve seen at CES in years. What was it? GoPro! And, that is my final tip; walk to the back, stay away from the glamour of Samsung and those cool car speaker displays. Look where nobody else is.